The lineup was STACKED this week. We have our regular 2 ex-World Championship Candidates in Jan Ehlvest and Leonid Yudasin, but we also had 4 other GM’s in attendance! Joining the fray were bullet king, GM Roland Schmaltz, 15 year old sensation GM Hikaru Nakamura, GM Alex Wojtkiewicz and GM Pavel Blatny. This might go down as the strongest NY Masters thus far! With all these strong players in attendance you knew there would be a lot of exciting chess! In total we had 6 GM’s, 4 IM’s and 1 WIM! Let’s get to the action…. 6 Blatny – M.Shahade ICC GAME! There were quite a few scares to the top players in the first round, but only one real upset. IM Justin Sarkar had a winning position against Jan Ehlvest, but was only able to draw due to time constraints. A draw against Ehlvest is quite an accomplishment however, as until last week, Jan had won the only 4 NY Masters he had played in. 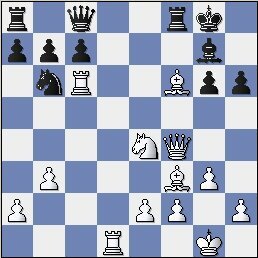 Lewis Eisen probably had good winning chances against GM Roland Schmaltz, but lost a pawn in time trouble and with it the game. 10 year old expert Marc Arnold qualified for the NY Masters for the first time, and put up a great fight against IM Dean Ippolito. Marc had a better position, but Dean’s experience and savvy propelled the IM to victory. Chessplayers these days are used to seeing Shahade play, whether it be Jenn Shahade or I, but it’s rare these days that people get a chance to see the one who started it all, my father Michael Shahade. 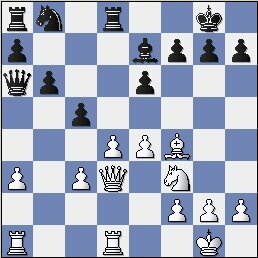 1.g3 d5 2.Bg2 c6 3.b3 Nf6 4.Bb2 Bf5 5.d3 e6 6.e3 Nbd7 7.Nd2 Nc5 8.Qb1!? It’s hard to play the move Qb1 any earlier than this. Pavel really loves to play these unorthodox yet harmless looking openings. Does anyone know what this opening is called, the Hippo perhaps? A lot of 8 year old 600 rated players are playing this opening these days. Fortunately my father never got around to teaching me his ideas of pawn structure. It’s a shame, Blatny has done nothing all game and yet already has a much better position. Sometimes playing against GM’s makes the weaker opponent panic, and play moves that they would never play against a non-GM. It’s rare that one sees tripled pawns, but my dad isn’t satisfied yet…. If my dad is going to go out, he’s going to go out punching!! Will this piece sacrifice work against GM Blatny? The attack has been stymied, but most impressive is black’s QUADRUPLED PAWNS!!!! You don’t see that every day folks. Black has 3 pawns for the piece, but when they are QUADRUPLED, they become pretty worthless. Blatny makes a few more simple technical moves and the 4 time Pennsylvania state champion has to call it quits. 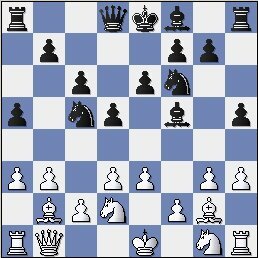 3 Ippolito – Nakamura ICC GAME! All the favorites came through again in round 2. In the battle of GM’s, Blatny had a decent position out of the opening, but simply hung a pawn and then the exchange. I sacrificed a lot of material against Yudasin, but incorrectly followed it up. Alex Wojtkiewicz moved to 2-0 with a win against IM Jay Bonin. This meant that Yudasin, Schmaltz and Wojtkiewicz were at 2 points and the result of the next game would reveal the fourth undefeated player. 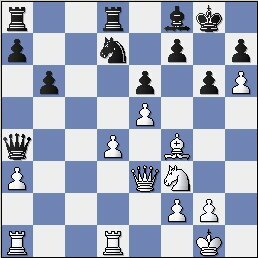 1...Nf6 2.c4 g6 3.Nf3 Bg7 4.g3 0-0 5.Bg2 d5 6.cxd5 Nxd5 7.0-0 Nc6 8.Nc3 Nb6 9.d5 Na5 10.Qc2 e6 11.dxe6 Bxe6 12.Bg5 Qc8 13.Rfd1 Nc6 14.Rac1 Re8 15.b3 Bf5 16.Qd2 Bg4 17.Qf4 f6!? A bold move, and Dean throws down the gauntlet, and submits the bishop to a pin. 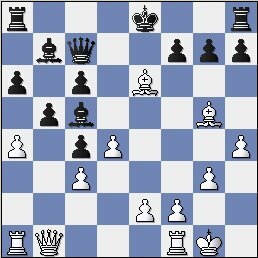 This move contains the idea ….g5, kicking the queen away and winning the pinned bishop on f6. Ippolito reacts energetically, and gains a huge attack for the sacrificed material. Nakamura is going to have to be VERY careful now..
White is threatening to play a5 and then invade with the rook on the 7th rank. Nakamura has no choice anymore. 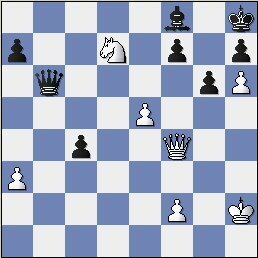 Forcing an endgame where white has a queen and 6 pawns versus a rook, bishop, knight and 4 pawns. 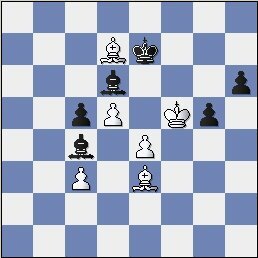 You would think this would be better for black, but the black pieces are quite uncoordinated and have no targets to attack. 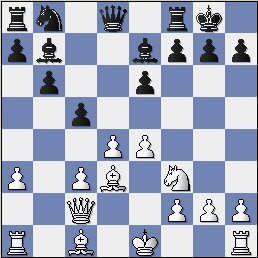 I preferred Qg6, with the simple idea of Qxh6. The b3 pawn is taboo as if Nakamura tries …Rxb3, Dean picks off the rook with Qg8+. 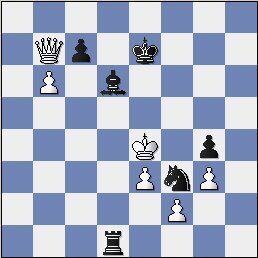 It looks like the white king is in a mating net, but its actually not so simple at all, as the king always has an escape route via f1-e2-d3. Dean concentrates on making a new queen, while letting Nakamura have his fun around the white king. Dean is quite sure that Nakamura cannot mate. a6 was also an interesting idea, as it’s going to be mighty difficult to stop a7 followed by a8=Q. 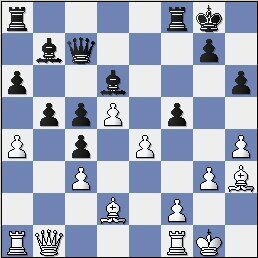 44...Rh2+ 45.Kf1 Rh1+ 46.Ke2 Re1+ 47.Kd3 Rd1+ 48.Ke4?? A huge blunder by Ippolito. 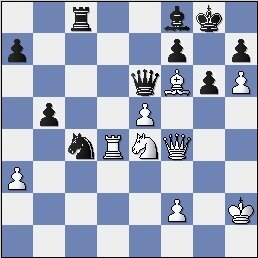 Kc2 leaves white as the only one with winning chances, although Nakamura probably had enough to hold a draw. Locking the king on e4. 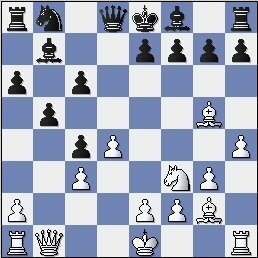 There is no reasonable way to stop ….Ng5 checkmate. Nakamura just barely moves to 2-0, thus we have 4 GM’s at the top of the leaderboard. The other two GM’s were nicked already, as Ehlvest drew in round 1, and Blatny was beaten by Schmaltz in round 2. Now all 4 GM’s will face off! 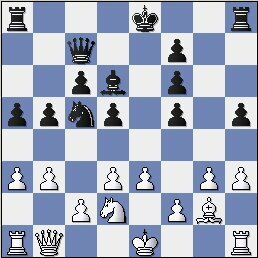 2 Nakamura – Schmaltz ICC GAME! Yudasin tried to move to 3/3 against Polish GM, Alex Wojtkiewicz, but today Alex was too solid and was able to hold the draw. 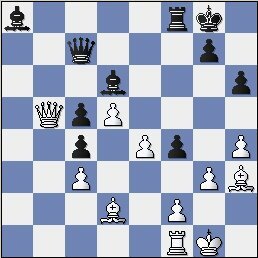 Jan Ehlvest joined Yudasin and Wojtkiewicz with 2.5/3 after dispatching Blatny with the black pieces. On the live internet relay, we had a long awaited NY Masters matchup. Nakamura and Schmaltz have yet to cross paths in this tournament, but have both had incredible success in the past. They are both known for their incredible prowess at speed chess, as both have been rated number 1 in the world on the ICC at bullet chess (1 minute chess). To finally get to see them play in a sanctioned action chess tournament was a thrill for many spectators! Which one of them would move to an undefeated 3/3? 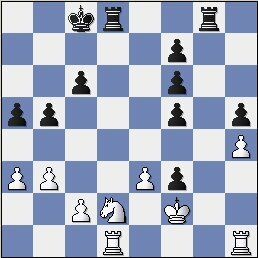 Nakamura does not like to trade queens, but Schmaltz felt that 16.Qxa6 Nxa6 17.d5 would have given white the advantage. We’ve got some wild action here! Schmaltz has a lot of dark squared weaknesses, but how can Nakamura take advantage? Again, all of white’s pieces are positioned near the black king, but it’s almost impossible to make anything happen. 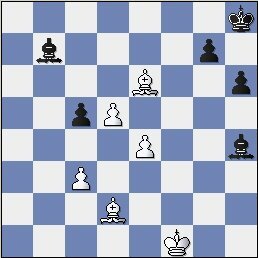 Schmaltz felt that he should simply capture the pawn on a3 in this position, although that looks pretty risky to me. Nakamura offered a draw, which Schmaltz immediately and confidently declined. 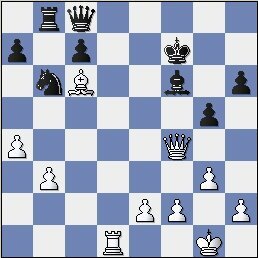 Now Schmaltz sheepishly returned the draw offer, as he realized that even if he wins the knight on d7, white can play Qf8 checkmate, thus perpetual check is the only option. With this draw it meant there would be a 5 way tie for first place going into the last round, as there was a big logjam at 2.5/3. The last round would decide it all…. 1 Ehlvest – Nakamura ICC GAME! Schmaltz had 3 wins against Yudasin in past NY Masters, with 0 losses and a few quick draws thrown in, thus Yudasin could not have been too confident with the black pieces against Schmaltz in the final round. 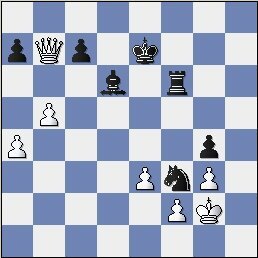 However things turned out well for Leonid when Schmaltz blundered material to a simple zwischenzug tactic. Schmaltz could not hold out, and thus Leonid scored his first victory over the German blitz sensation. It has been two weeks of firsts for Yudasin as he beat Ehlvest last week after 3 losses, and Schmaltz this week. Meanwhile it was up to me to stop Wojtkiewicz from getting 3.5/4. I have always had trouble playing Wojtkiewicz with the black pieces, but today was the exception. I punished an inaccuracy in the opening and was able to win an exchange. Wojo had some compensation as I had some serious trouble developing my pieces, but it should not have been enough if I had actually paid attention to what was going on. Instead I made a bunch of weird randomlike moves and eventually blundered terribly in the endame, giving Wojtkiewicz the win and a share of first place with Yudasin. 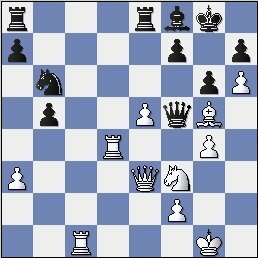 1.d4 d5 2.c4 c6 3.Nf3 Nf6 4.Nc3 a6 5.Bg5 Ne4 6.h4 Nxc3 7.bxc3 dxc4 8.g3 b5 9.Bg2 Bb7 10.Qb1!! WOW! In two of our broadcast games, we see the move Qb1 in the first 10 moves. It makes sense here as white plans to pressure the queenside with a4, and the queen on b1 helps support the move e4 and is nicely placed on the b1-h7 diagonal. Complete pandemonium in the final round of the NY Masters. Both bishops are in take, thus Ehlvest tries to get whatever he can for the bishop before it’s captured. Nakamura doesn’t want to trade, and calmly moves away. 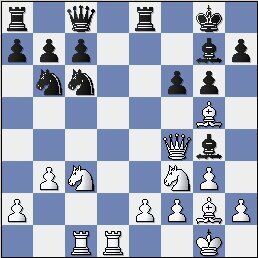 Ehlvest has been concentrating on the center and the queenside, but now Nakamura makes a bold move to play on the kingside, with …f4 ideas. 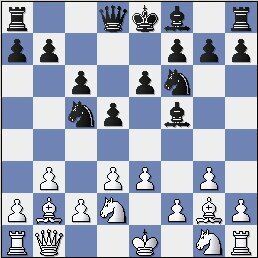 Nakamura has managed to achieve …f4, Ehlvest had better be very careful now, as his kingside is about to get ripped apart by the young GM. 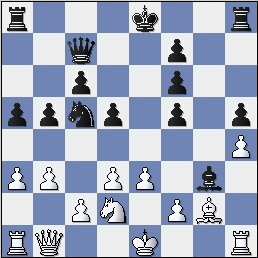 33.Be3 Be7 34.Kf2 Ba6 35.Bd7 Bc4 36.Bc6 Bd6 37.Kf3 g5 38.Kg4 Kg7 39.Kf5 Kf7 40.Bd7 Ke7! with the tricky threat of …Kxd7. An unbelievable oversight from such a strong GM!!! Ehlvest decided to simply not look at Nakamura’s move, as time can’t be a big excuse with the five second increment. If any of my students rated over 1000 lost a piece like this it would be amazing, and to see it happen to such a storied GM is always exciting for the crowd. 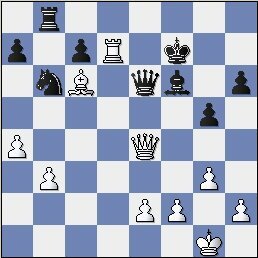 With this gift, Nakamura joined Yudasin and Wojtkiewicz in first place with 3.5/4. An exciting end to one of the strongest NY Masters to date! Next week marks the first week of the 4th season of the NY Masters. I will let everyone know how much money we will get in sponsorship on Monday the 21st. Thanks to everyone for your support and hope to see you all next week!